There are various occasions when customers find your pricing too high for them. They choose to either look on other sites or wait for the price to drop. 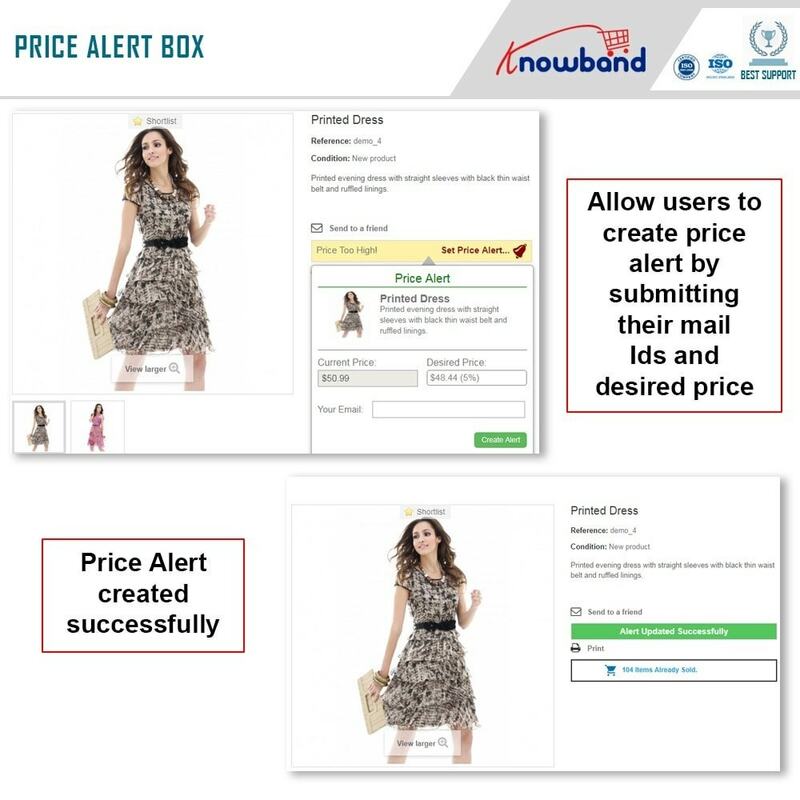 The Price drop alert module helps you to know about such potential customers on your store and give you an insight of how you can convert these customers. It will also help you to convert those customers who wait for the prices to drop. 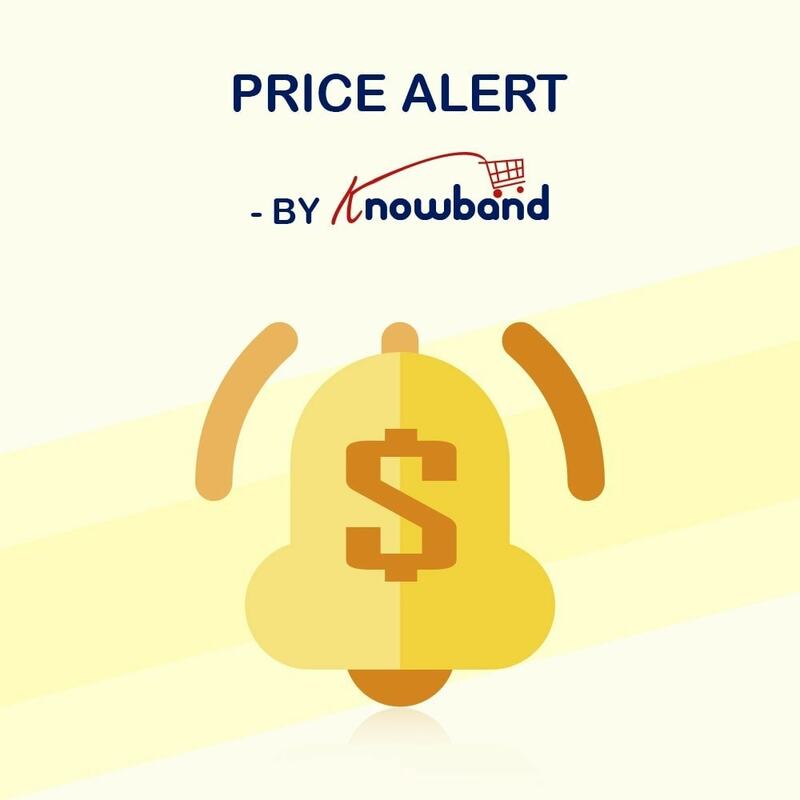 The Prestashop follow price module will allow you to know your customers’ needs by analyzing product prices and price alert subscription data. You can use this information to decide if giving special discounts on specific products would increase their conversions. The same data would also help you to set up the optimum pricing of the products according to the customers' budgets. 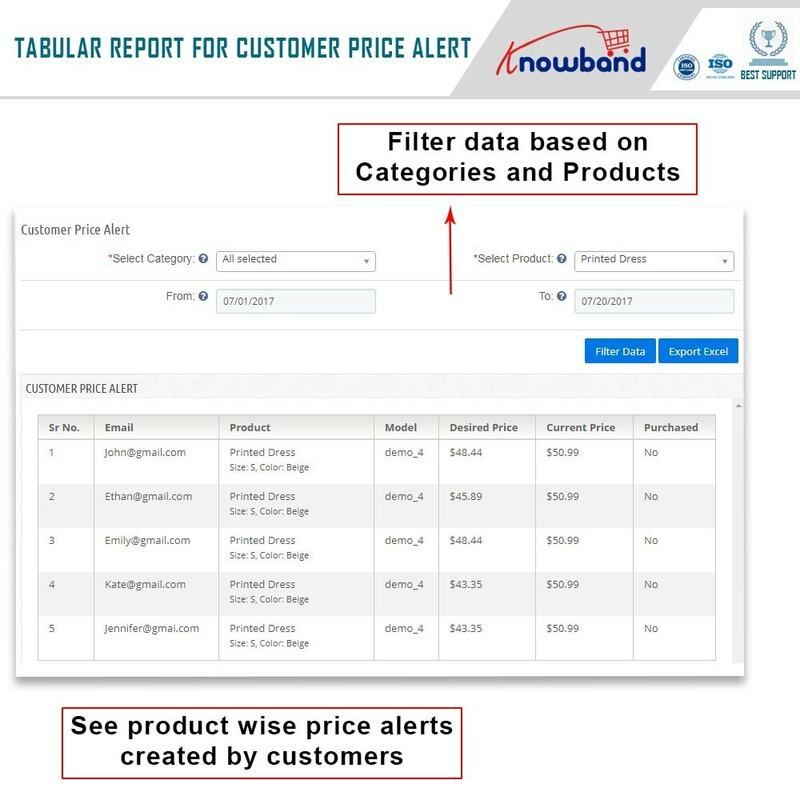 The Price drop alert plugin can also be called as an analytic tool which generates reports for allowing you to see the customer needs at a glance. - This Prestashop module helps you to decide if it’s a right time to launch a sales campaign. - It helps you to decide which products should be discounted to push the budgets of your customers. - It helps in lead generation from more likely to be interested customers. Prestashop price alert module is GDPR compliant. 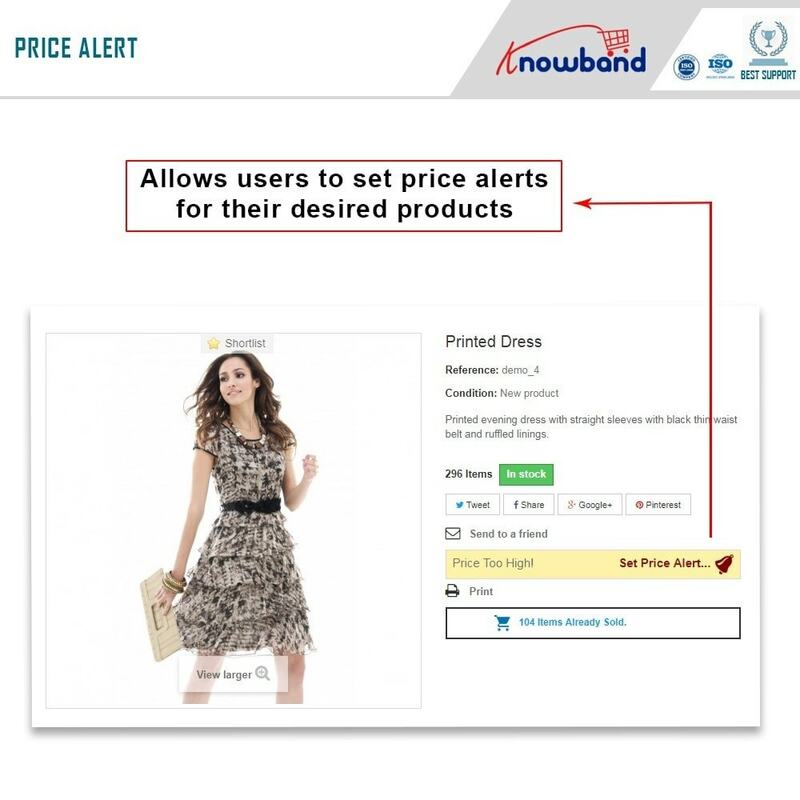 The Prestashop price watch addon allows customers to subscribe to email alerts on price change of a product. The PrestaShop price drop reminder module allows the admin to enable or disable the GDPR compatibility. The customers can mention their desired/expected price while subscribing. 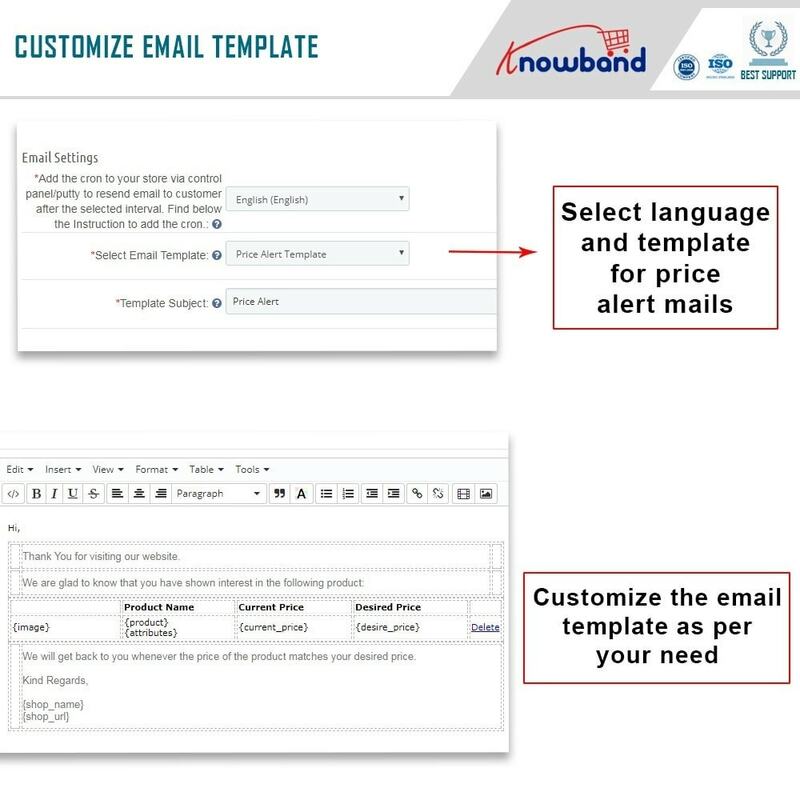 An automatic email will be sent to the subscribed customers when the price of the product is changed on the store. The Prestashop Price Alert addon allows the admin to enable or disable desired price option from the front. 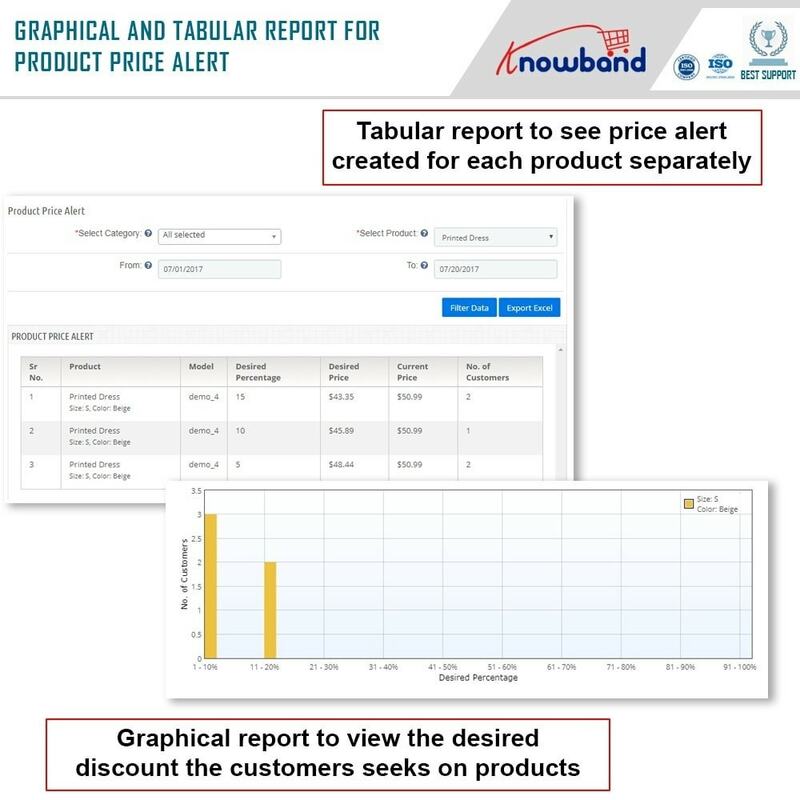 Admin can view separate reports for "Product Price Alert" and customers' "Desired Price Alert". You can use this report to compare your pricing with the customers’ desired pricing. The subscription for Alert module allows you to download the reports in Excel format. Customize the look of subscription block using custom CSS and JS option. The responsive layout provides the same appealing UX on mobile devices too. 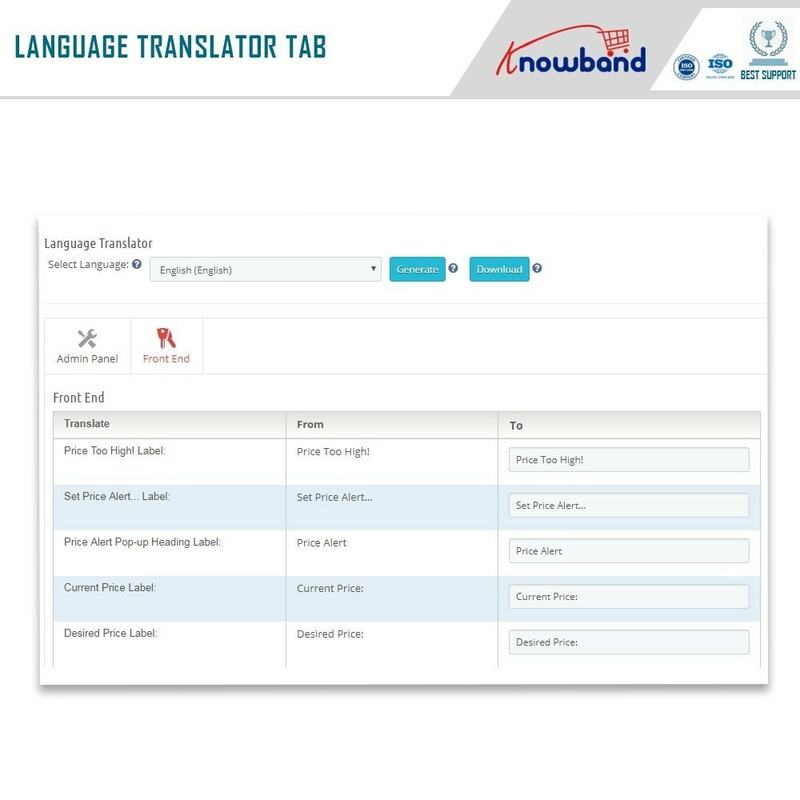 The notify customers module supports Multi-language compatibility. The Price drop alert module does not conflict with other parts of the system or other modules on your site. Attract new customers by illustrating your offers and ideas on Sign In, Sign Up, first visit and etc. The places of reminder are customizable, we can add any additional location without "payment" for your characteristics. Customers are always ready to buy if prices fall under their budget. This module acts as a medium through which a customer can tell the admin that he/she is interested in buying a product, but the price is out of the budget. So, “here is my expected price, notify me when the price is dropped and falls into my budget”. This is the simple phenomena of this module that works for the customers to keep them informed. 1.Easy Interface, and responsive interface to work well on any mobile device. 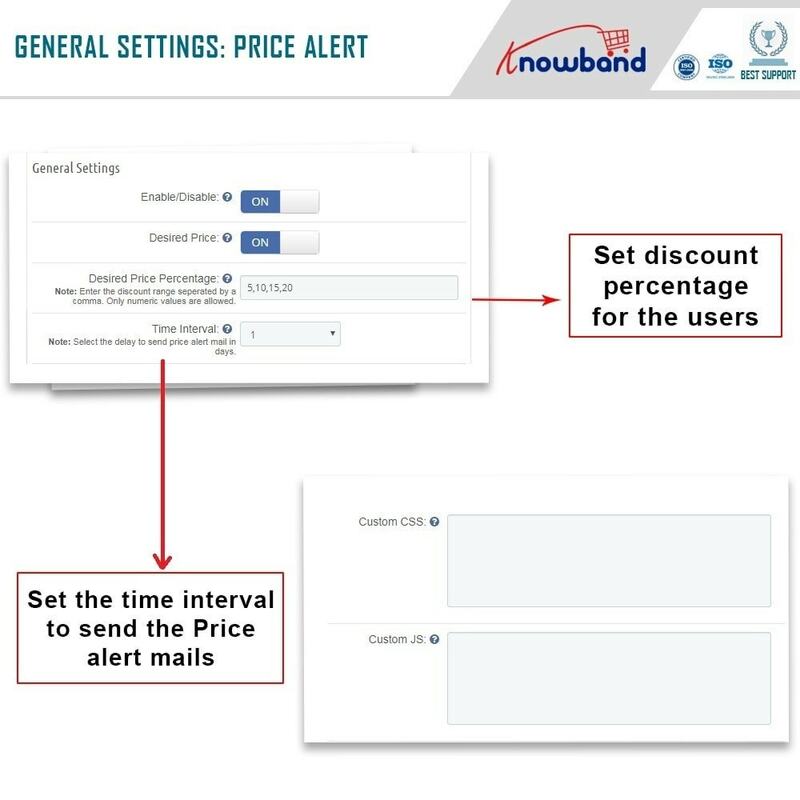 2.Option to mention desired/expected price along with the alert subscription. 3.Simple subscription process; customers need to just input their email address, nothing else.